Casa Palmilla - 1300 sq. 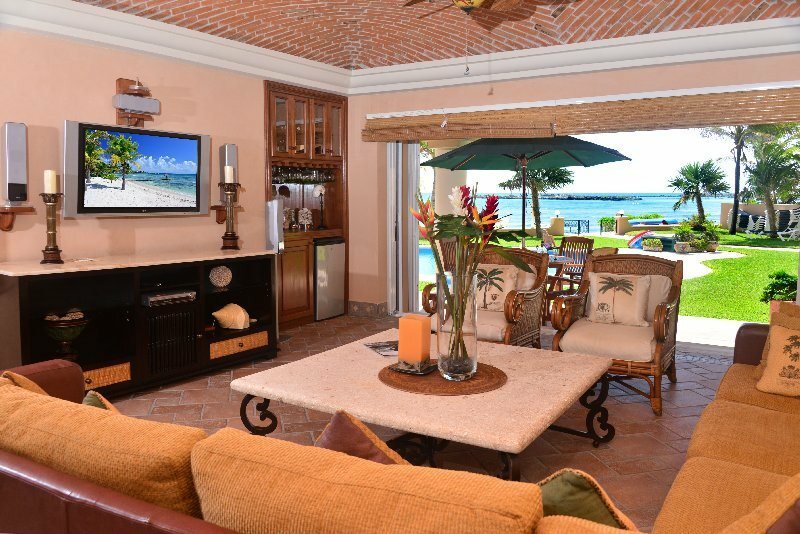 ft. 3 bedroom 3 bath beachfront condo for rent in the private and luxurious Quinta del Sol condominiums. Indoor-outdoor luxury living with all the amenities of home in a relaxed tropical experience. You are there to celebrate the sun and water in open spaces with sweeping views of the ocean. Master bedroom with a king size bed ensuite bath and view of the pool and the ocean. Guest bedroom with a queen size bed and view of the pool and ocean. Guest bedroom with a queen size bed ensuite bath. Restaurants, shops and bars located in the Marina area mall. Tennis courts, 9 hole golf course are some of the amenities you can access right in Puerto Aventuras - fees apply. Puerto Aventuras Rentals offers a select number of rental condos and beach villas for rent in the Riviera Maya Mexico.